Giveaway Prize – Too Faced Chocolate Bar OR Boudoir Eyes Palette? Right, guys! 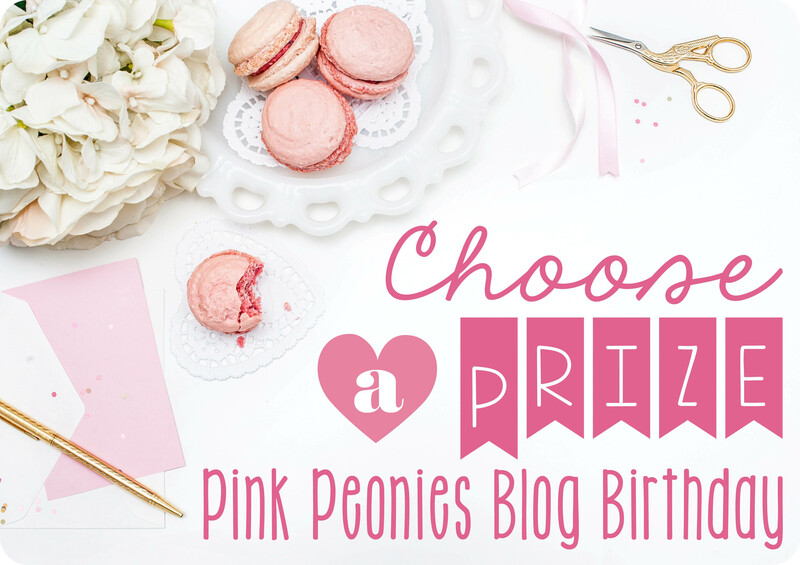 In March 2015 we’ll be celebrating Pink Peonies’ 2nd BIRTHDAY – if you were already following my blog last year, you will know I had a BIG giveaway for my blog’s first birthday. This time around, we’ll be doing things a little bit different – change is good, right? I’ll be doing 4 giveaways during the month of March, one each week. To say thank you for all the support, tweets, emails, comments and kind words these past 2 years – you have no idea how much I appreciate your support. I’m a little bit stuck on 1 of the prizes, though, so I need your help to decide. 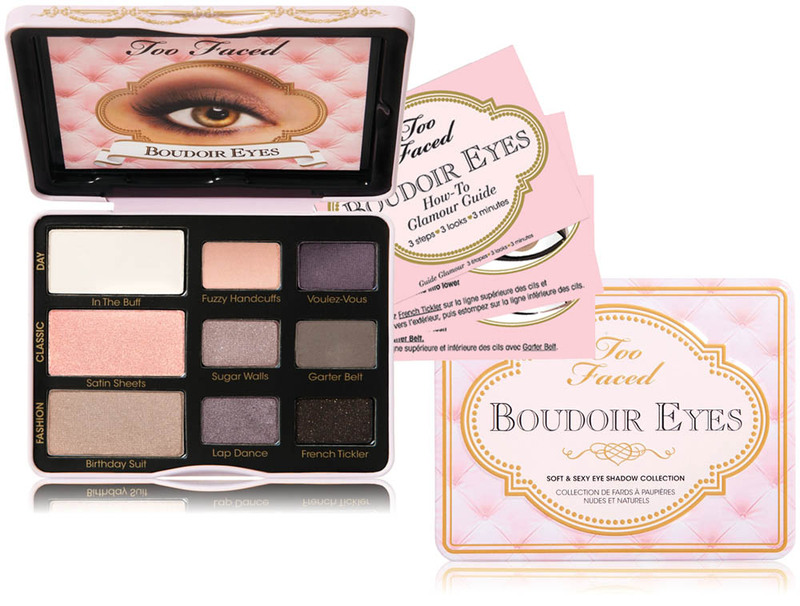 Would you like to win a Too Faced Chocolate Bar Palette or the Too Faced Boudoir Eyes Palette? This is what Too Faced says about the Chocolate Bar palette: The Chocolate Bar experience begins as soon as you open the palette and the smell of sweet chocolate envelops you. The eye shadows are pigmented with pure, antioxidant-rich cocoa powder and includes 16 matte and shimmer shades of natural browns, delicate pinks and luscious plums. Includes our signature how-to Glamour Guide with three looks to get you started. This is what Too Faced says about the Boudoir Eyes eyeshadow palette: Each of these 9 shades is smoldering when worn alone, and in combination they’re downright X-rated. Boudoir Beauty features colour and neutral shadows, plus 5 racy new shades. I own the Chocolate Bar palette (I actually bought mine a couple of weeks ago) and it is absolutely stunning! But I do think some of you would prefer winning the Boudoir Eyes palette since it is a bit more cool-toned. I’ll be placing the order for the prize next week Wednesday (the 25th of February), I’m not worried about delivery at all since the seller is based in South Africa and all parcels are sent via courier. Here’s what you need to do: Leave me a comment in the comments section below telling me which palette you prefer – majority wins! Are you looking forward to the Pink Peonies Blog giveaway series as much as I am? WOW – it’s already been another year! Congrats Luzanne! Chocolate bar is tooo good to skip out on! Definitely Chocolate Bar! Would love to own it! The Chocolate bar. Gorgeous colours! Ahhhh the Chocolate Bar Pallette!! Congratulations!!! I would actually prefer the Boudoir Eyes Palette. Who is the local supplier? The Too Faced Chocolate Palette!!!!!!!!!!!!!! An early happy birthday. The chocolate bar palette please. Chocolate bar for sure!! It’s BEAUTIFUL!!! Definitely the Too Faced Chocolate Bar Palette! Obsessed. congratulations on the second birthday..
Ooooh wow! Can’t go wrong with Too Faced! What a stunning prize. argh!!! I’ve been wanting the chocolate bar for forever. Would love to win it. BTW, where so you purchase them fron here in SA? Too faced Chocolate bar – Oh totes! Ooh, I like the Too Faced Chocolate Bar palette, absolutely beautiful! Congrats on two years! The Chocolate Bar palette looks gorgeous! Chocolate bar 🙂 Seems like it will be the winner! Definitely the Chocolate Bar! Congrats on the success of your blog; 2 years is a big deal. Both look pretty amazing, but my heart is lusting after the Chocolate Bar for the longest time now! Definitely the Chocolate Bar palette! for sure the Chocolate Bar!! Beauuuuuutifuuul. Where can I actually buy it online?? Congratulations on a great blog!! I am new and CAN’t wait for you to post something new!! Looooooovvveeddd!! Your Valentine’s Day video on makeup!!!! To another 200years!! Chocolate Bar palette, please? So excited!! Omg congrats!! Definitely the Too Faced Chocolate Bar palette! Chocolate Bar palette ALL THE WAY! Baie geluk L, dis n groot prestasie en ons klomp geniet jou blog vreeslik baie, sien uit na nog baie! Two faced chocolate bar definitely my favourite!!! Love your blog! Oh wow.. I love the variety of the Chocolate bar but love the colours of the Boudoir eyes!!! The Chocolate Bar Palette without a doubt!!! Congrats on your 2nd birthday! I vote the Chocolate Bar Palette – looks stunning! Two Faced chocolate bar looks delicious :)))), would love it! Oh DEFINITELY the Chocolate Bar palette! I’ve been eyeing these up for ages – I usually stick with bronzes and browns for my eyes and these just look amazing! Chocolate bar for the win! LOVE the Chocolate Bar palette! Chocolate makes my heart happy!! You can never have too much Chocolate!!!! Devine. I’m pale so I would love the Boudoir eyes palette. Definitely the Too Faced Chocolate Bar Palette! Too Faced Chocolate Bar Palette! It’s beyond gorgeous, I would love to own that! Too faced chocolate bar palette!!! Gorgeous!! No doubt, definitely the chocolate bar! The chocolate bar, is a winner!!! Chocolate bar colours looks stunning! Love the colours and my green eyes would totally be into them!! The Boudoir Eye is just dreamy! I like the Too Faced Boudoir Eyes Palette, love purple shades. OMG!Im blown away by the Too Faced Chocolate Bar Palette!Its got fabulous colours! I would love to own the yummilicious chocolate bar palette 🙂 as i am a chocolate freak 🙂 and would love to have that in my collection. I love your blogs because they’re soo informative, bright and colourful and you are soo beautiful. Congrats on another year strong:). Oooh that chocolate bar palette is too yummy. The chocolate bar palette is stunning! Definitely that one. Too Faced Chocolate Bar – ill never have to buy more than one palette with colors i need :)! I would definitely choose the Too Faced Chocolate Bar Palette!!!! 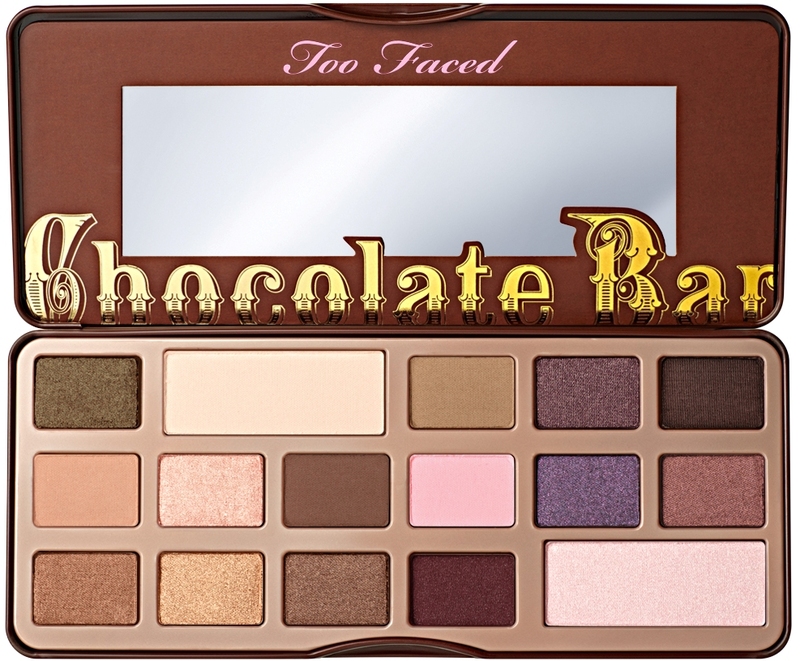 I would so love to win the Too Faced Chocolate Bar Palette! Gorgeous.